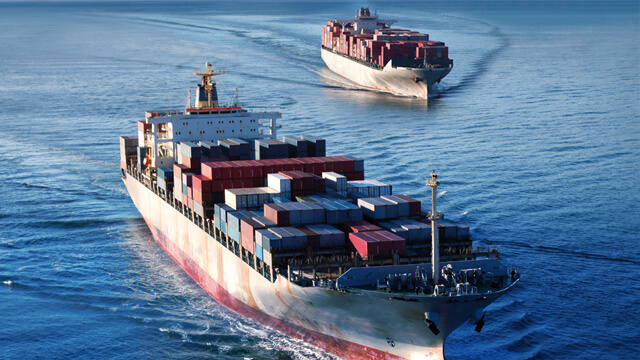 With Tier III NOx limits entering into force in North America and the US Caribbean in January 2016, the time has come for many ship owners to choose their method of compliance. Exhaust Gas Recirculation (EGR) on MAN B&W engines has strong advantages on its own. But combined with a new pressurized EGR economizer from Alfa Laval, it also offers the potential for massive fuel savings. 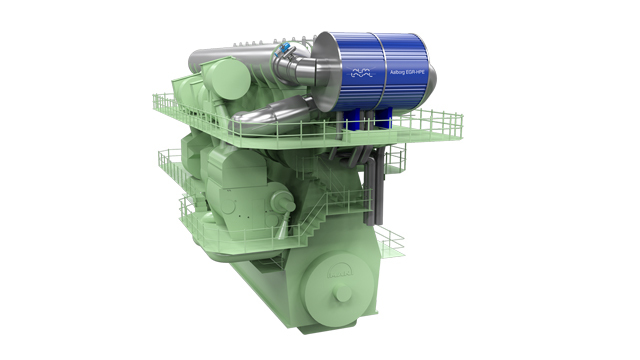 Developed by Alfa Laval in close cooperation with MAN Diesel & Turbo, the Aalborg EGR-HPE is a revolutionary new economizer enclosed in a pressure casing. Placed in-line ahead of the pre-scrubber sprayers in the EGR circuit, it can be used for a number of advantages. 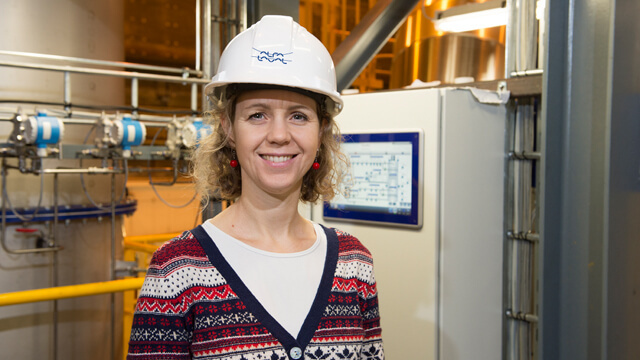 If connected to a conventional waste heat recovery system, for example, waste heat recovery becomes substantially more efficient – and is possible at significantly lower engine loads. The source of all these benefits is the heat that would otherwise be lost during EGR. In the EGR process, around 30% of the exhaust gas is directed back into the engine, which reduces the combustion temperature and thereby the production of NOx. 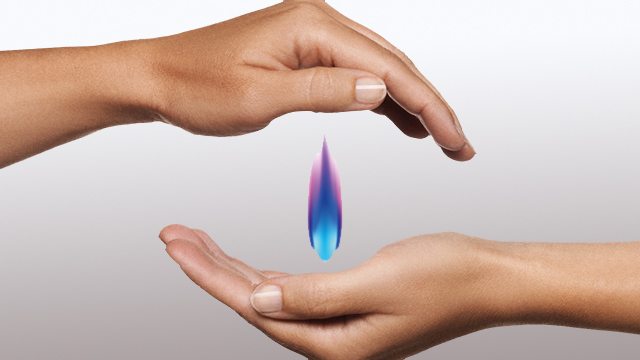 Since only the remaining 70% of the gas reaches the traditional exhaust gas boiler after the turbocharger, waste heat recovery is reduced by 30% as well. By installing the Aalborg EGR-HPE, that loss is turned into a gain. 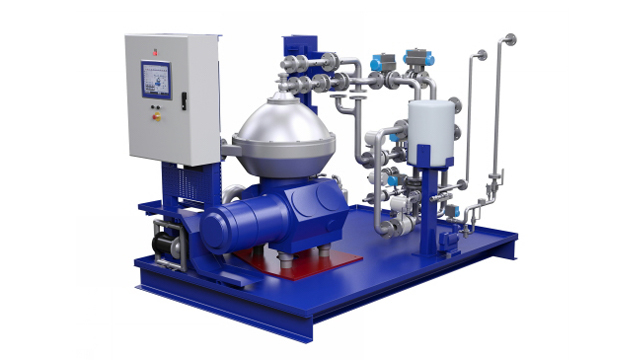 Placed in-line before the EGR pre-scrubber spray jets that cool the exhaust gas, the boiler has access to much higher temperatures than traditional exhaust gas boilers. So while the installation is light, compact and self-cleaning due to the high speed of flow, its application potential is enormous. This can be seen in the way it increases the efficiency of a conventional waste heat recovery system. 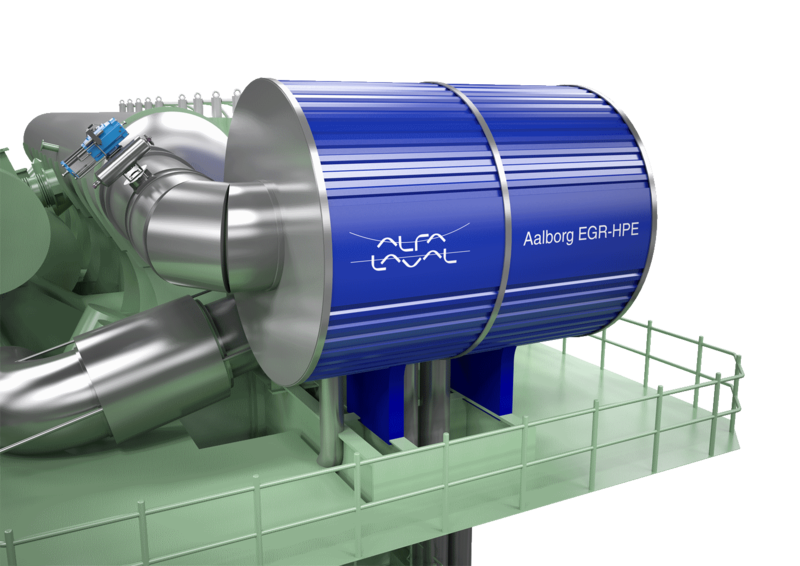 The Aalborg EGR-HPE is integrated with conventional waste heat recovery after the turbocharger by means of its steam drum, which is shared by the traditional exhaust gas boiler. With the output of the traditional economizer feeding into the shared drum, the Aalborg EGR-HPE produces extremely high-quality steam with a temperature of just above 400°C, bringing the waste heat recovery system to a much higher level of efficiency. Even more importantly, using the Aalborg EGR-HPE in an integrated system allows waste heat recovery to occur at lower main engine loads than would be possible with a traditional waste heat recovery system in Tier III operation. In other words, it creates the possibility of even slower steaming. 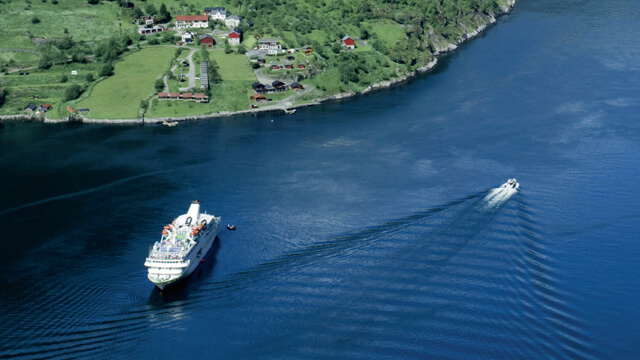 The savings with the Aalborg EGR-HPE are anything but theoretical. In a project supported by the Danish Energy-Technological Development and Demonstration Programme (EUDP) and developed in cooperation with Aalborg University, the EGR boiler has been rigorously tested aboard the Maersk Cardiff, a container newbuild from A.P. Moller-Maersk. For those still debating their choice of Tier III NOx compliance, the Aalborg EGR-HPE may well influence the final decision.